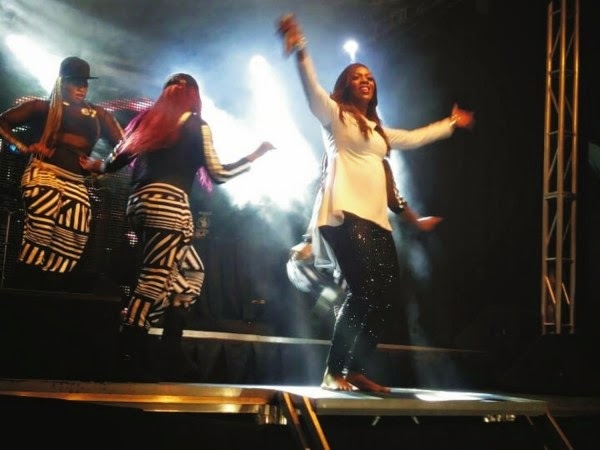 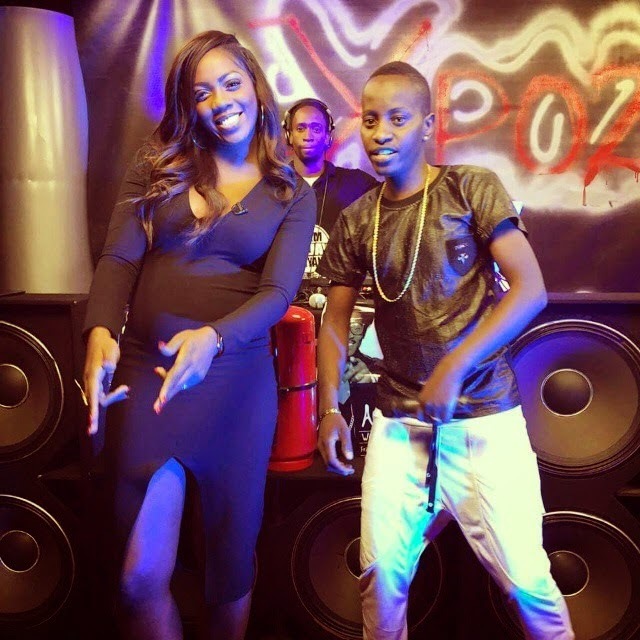 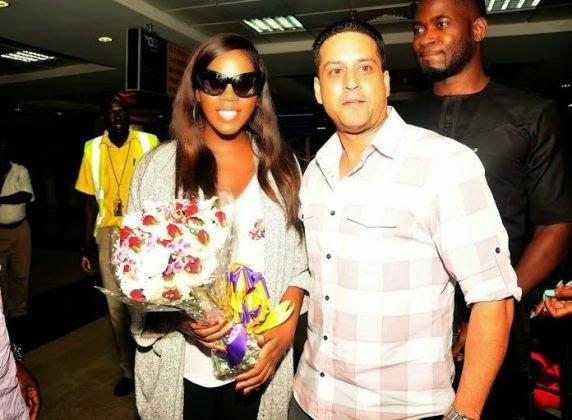 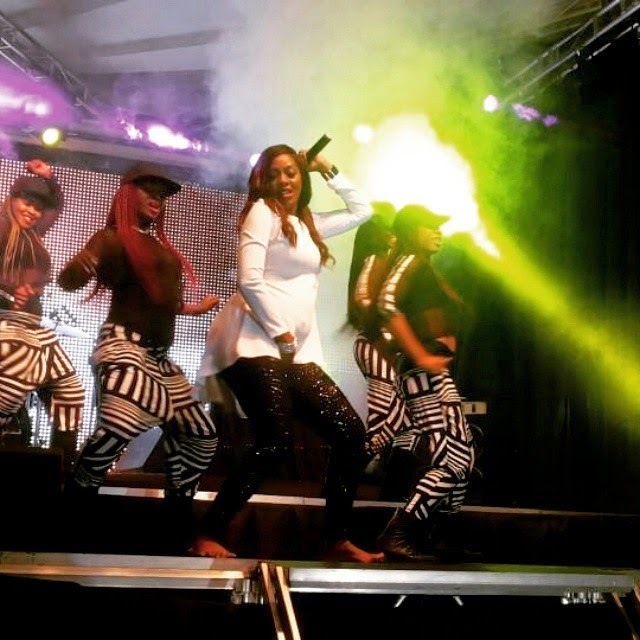 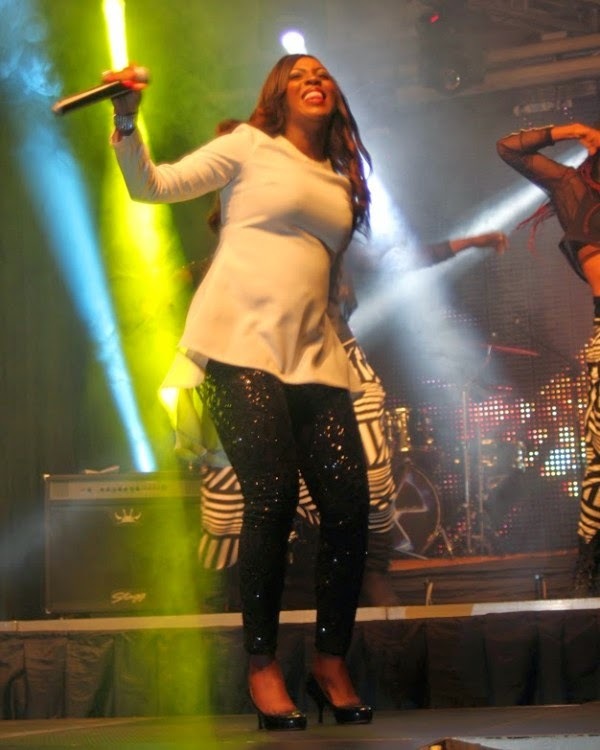 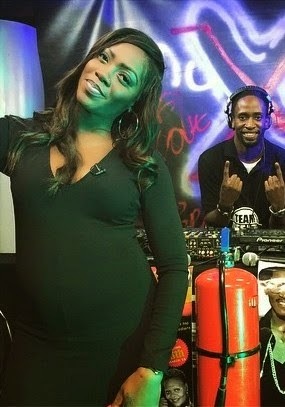 Pregnant Tiwa Savage is currently in Uganda for a two-day performance over this weekend. 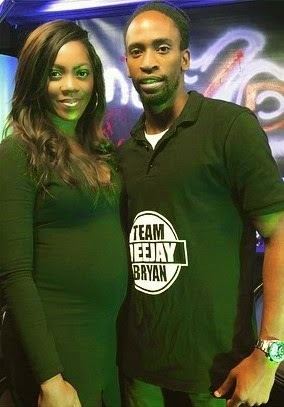 The singer is expecting her first child with husband TeeBillz Balogun. 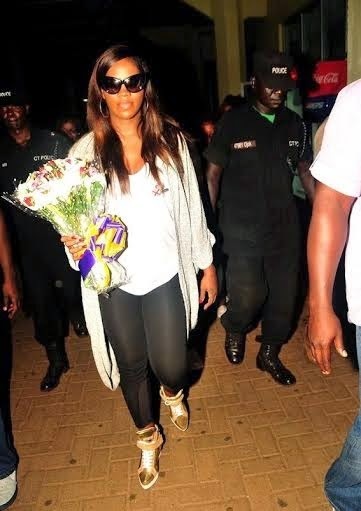 Check out her maternity style from when she arrived in the East African country, her press rounds and stage performance below. 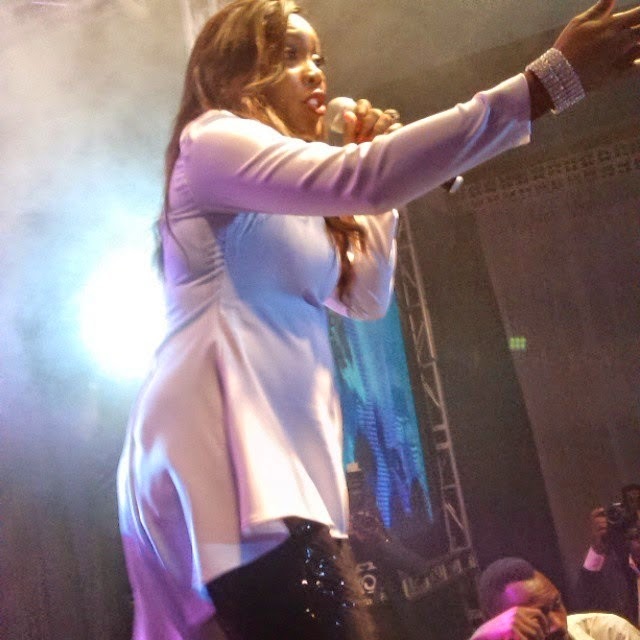 She wore a tight black gown for her appearance on a TV show while wearing a white shirt and comfortable satin pants at the other occassions.